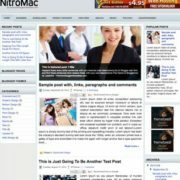 Cyber Blogger Template is a news blogger theme. 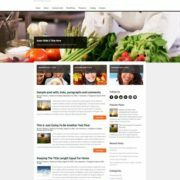 With responsive design and highly optimized SEO, it is the best option available to create a news website or any other blog like, tech blogs, review blogs, howTo, magazine, newspapers and multi purpose blog websites. 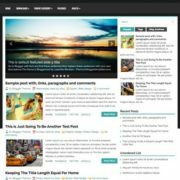 Made with blogger’s latest codes, it is a fast loading and easy to customize theme that features and elegant but extreamly functional layout. 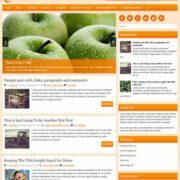 This theme comes with semi magazine layout with two featured posts that works with label, recent posts or random posts. 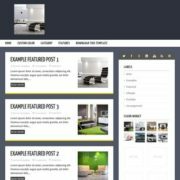 Also it is a social media ready template that includes various social media sharing buttons including Whatsapp. 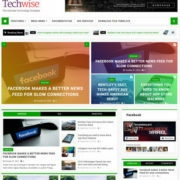 This is a latest generation theme and has perfectly supported ad widgets for responsive adsense codes. 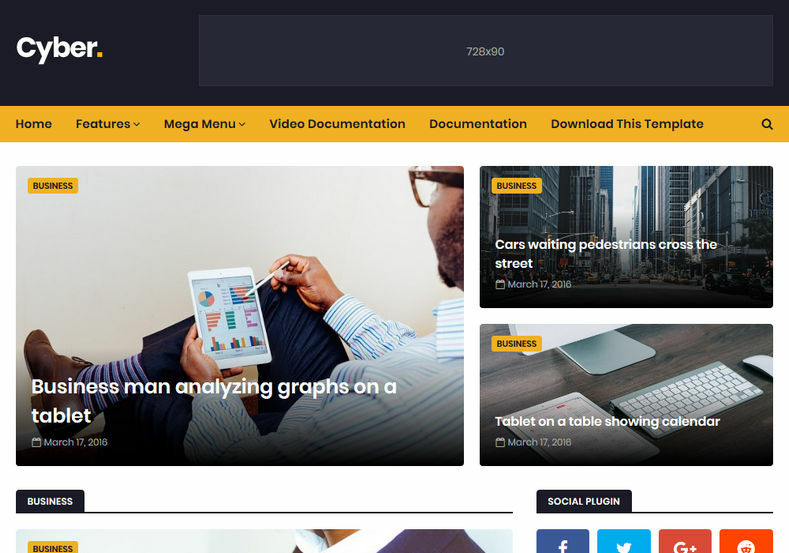 By default it comes in yellow, black and white background, but it also includes Unlimited Color Options with Backend Color Picker for any kind of gorgeous color settings. 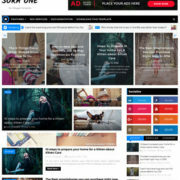 Seo Ready, Browser Compatibility, Responsive, Adapted From WordPress, Social Bookmark Ready, Post Thumbnails, Ads Ready, Drop Down Menu, White, Green, Black, Yellow, Fashion, Elegant, Girly, Simple, 2 Columns, WhatsApp Sharing, 3 Columns Footer, Breadcrumb Navigation Ready.